Has your doctor lied to you? Eat low-fat and high-carb, including plenty of “healthy” whole grains—does that sound familiar? Perhaps this is what you were told at your last doctor’s appointment or visit with a nutritionist, or perhaps it is something you read online when searching for a healthy diet. And perhaps you’ve been misled. Dr. Ken Berry is here to dispel the myths and misinformation that have been perpetuated by the medical and food industries for decades. 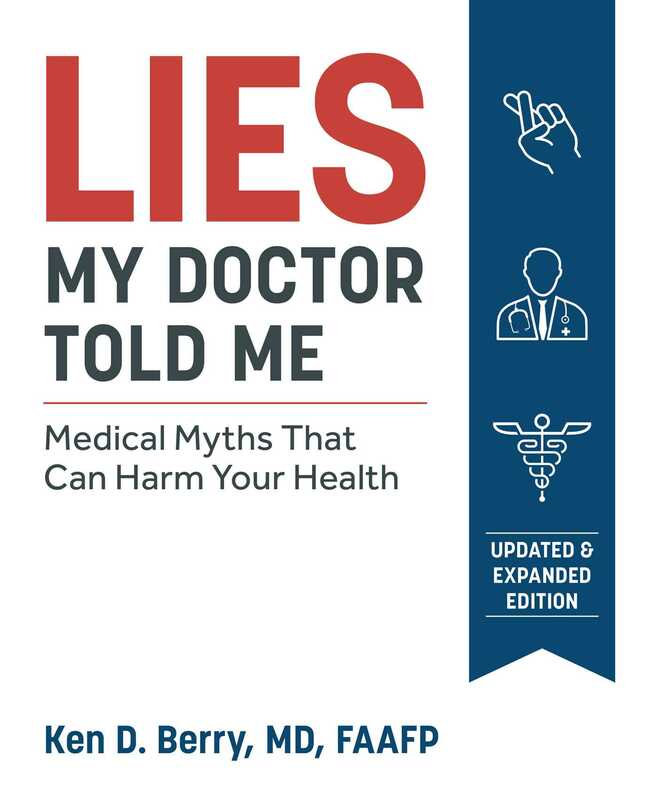 This updated and expanded edition of Dr. Berry’s bestseller Lies My Doctor Told Me exposes the truth behind all kinds of “lies” told by well-meaning but misinformed medical practitioners. Nutritional therapy is often overlooked in medical school, and the information provided to physicians is often outdated. However, the negative consequences on your health remain the same. Advice to avoid healthy fats and stay out of the sun has been proven to be detrimental to longevity and wreak havoc on your system. In this book, Dr. Berry will enlighten you about nutrition and life choices, their role in our health, and how to begin an educated conversation with your doctor about finding the right path for you. the truth about salt—friend or foe? Come out of the darkness and let Ken Berry be your guide to optimal health and harmony!